It's always a good day for Golf! 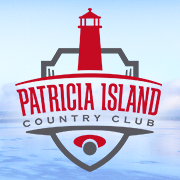 Patricial Island Country Club's award-winning Mulligans Restaurant is a great place to eat and open to the general public on Sundays and Mondays. Mulligans also caters - so be sure to contact them when planning your special event!